Proxies that support searching on Google are called Google proxy. Many SEO (Search Engine Optimization) programs make large number of queries on Google to get information such as ranks and competitors. They should use a Google proxy to avoid being banned by Google. If your IP is suspect, Google may show a page to verify that you are a human instead of robot. 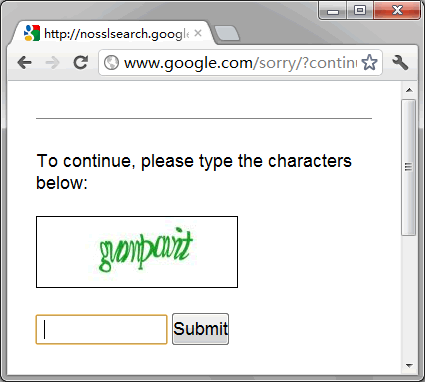 Google allow using proxies as long as you can pass this human verification. You can submit the characters in the picture to continue to use Google search. However your SEO program usually can’t do that as you. You can’t use that proxy to search Google in your SEO program. You have to find clean proxies so that Google won’t show that verification page. How to find those clean proxies? The professional edition of Elite Proxy Switcher 1.20 has the feature. It can check whether a proxy supports searching on Google. You can then export the Google proxies into a text file by ctrl+c and ctrl+v so that your SEO program can use them. If you manually use the proxy to search on Google, you need not to test this feature. It’s because you can easily pass the human verification. Some proxies may become Google proxy if someone passes that verification using it. This entitles the proxy to use Google for some time. After a while it needs verification again. It’s why the testing result of some proxy may change from time to time. However not every proxy can become Google proxy. Google blocks some proxies permanently because of the serious abuse. If you are using those proxies on Google, you will see this page. We tested 2540 proxies. There are only 67 Google proxies among the 718 working proxies. 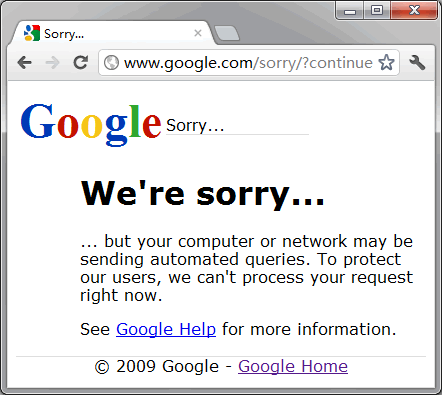 Google proxy is really precious.